Photographing a city requires a generous amount of foreplay. I spend days, weeks, months learning the layers of someplace new before I am confident enough to flash my camera. I am terrified of taking even one photo that could be put in a box labelled “stereotype” or “tourist”. Of offending a people, a culture by making a spectacle of them. And of me. If a city has not invited me into her boudoir, I have not earned the right to photograph her. And often I won’t take a single shot for precisely that reason. Flirting with boys is easier than flirting with new languages, new roads, new impressions and new ways of blending in. Cities make me flush in ways I never knew I could. So when I piggybacked onto my sister’s work trip to Marrakech, my heart was a flutter. Morocco has been on my top destination list ever since I discovered daybeds and rose water. And I would have only seven days to present myself to this magical place. 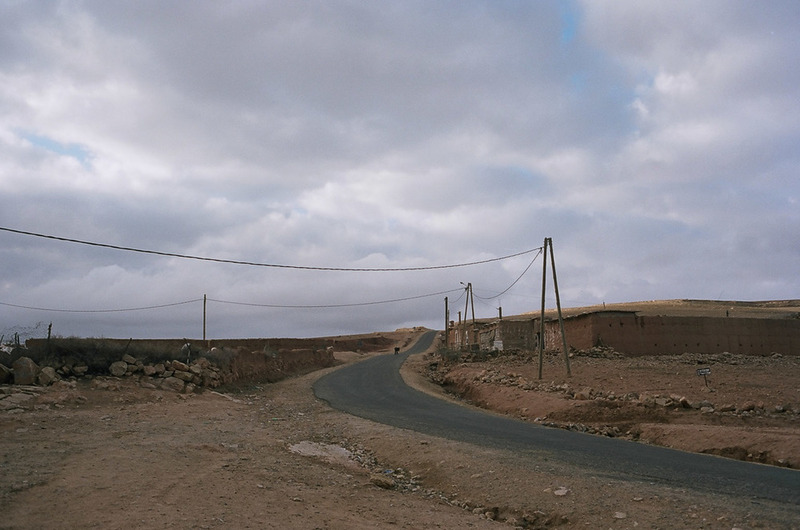 These images are a glimpse into Marrakech. The bulk of my experience—counting intricate archways, dodging scooters in the medina’s labyrinth, drinking orange blossom almond milk, discovering artist Hassan Hajjaj’s hideaway riad, dreaming half awake through the call to prayer at dawn, sipping copious amounts of mint tea, navigating the souk by smell of cinnamon—was impossible to capture on my inaugural courtship of Morocco.